Take a look around the site, you will find information about the camp, its directors and maybe even a picture of you or a friend! Our 44th year of camp at Round Lake was one of our most successful! New campers and returning campers enjoyed a week of activities, fun and fellowship. We are looking forward to another week of growing, loving and sharing at Round Lake Christian Camp in 2018 so keep visiting this site for updates and mark your calendars for Sunday, July 29th through Saturday, August 4th, 2018. Youth that have completed 5th grade through 12th grade are encouraged to register early as space is limited! 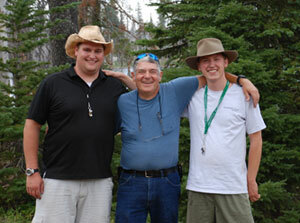 Round Lake Christian Camp is a ministry to youth established in 1974 by Ruel Dean Catlett and Louis O. Hendrix with the encouragement and support of members of the Newport Avenue Church of Christ, in Bend, Oregon. 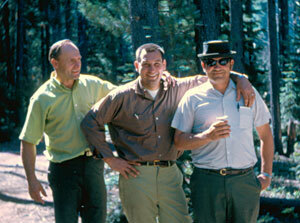 Forty-four years later we are proud to carry on the traditions and ideals of these Christian leaders. 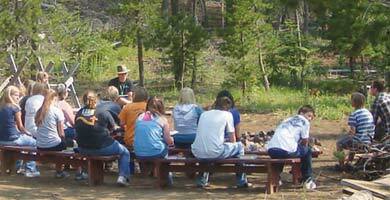 Round Lake Christian Camp is a privately directed, funded, church related institution. It is private in that it is directed and funded by individual Christians separate and apart from the direction and budget of any church. It is church related in that Round Lake Christian Camp is directed and staffed by members of the Church of Christ.